Find a vacation home to rent in Oberwart from our list of vacation rental properties. Campaya has over 23 vacation homes available in Oberwart, which give you the possibility to locate a unique accommodation in Oberwart which completes your check-list in search for the perfect self catering vacation apartments in Oberwart or vacation villas in Oberwart. This small cottage located in southern Burgenland is ideal for a couple to enjoy their holiday. This small home is located in the Eisenberg Vineyard near the Hungarian border. This traditional farmhouse is ideal for a couple to enjoy their holiday. This small cottage is located near the Hungarian border. The Kellerstöckl on Tschaterberg excited from the first moment. Due to the quiet of the vineyards and are surrounded guaranteed recovery. Living in the Museum: Who wants to spend a special holiday is right here. You live in an apartment on the grounds of the Rock Museum in amber. Kitchen and bathroom are new and modern. Situated in the municipality of Kohfidisch, protected by the hills of the Southern Burgenland hill country, lies this enchanting holiday home. Lovingly furnished and modern in design offers the ground-floor flat in this perfect Kellerstöckl along the Hummergraben, amidst the beautiful vineyard landscape of southern Burgenland. 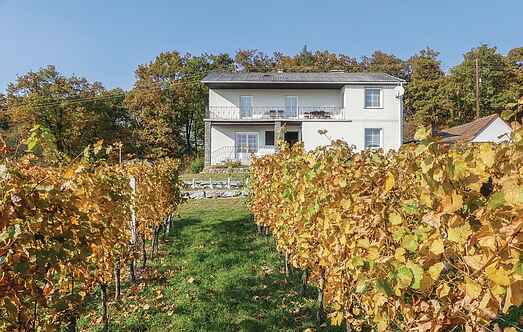 This lovingly furnished Kellerstöckl on Eisenberg is located right in the vineyards. From the terrace you can enjoy beautiful panoramic views in the Pinkatal, Hungary and Styria. A luxuriously equipped holiday home awaits you near the Hungarian border (next ABU114). Dating from the late 60s Kellerstöckl was renovated with great carefulness and modernized. was insulated with Ökobaustoffen such as wood and hemp and plastered with clay.